Anyone can be affected by rough economic times. When it comes to weathering the storm of personal economic troubles, there are options that every Massachusetts and New Hampshire resident should be aware of. While everyone’s financial situation may be unique, there are common factors and circumstances that account for the majority of economic hardship in Massachusetts and New Hampshire. The two main causes are illness that leads to overwhelming medical bills and unemployment. Regardless of what has led to any level of economic hardships, professional debt relief services and help from an experienced and knowledgeable debt relief attorney in Massachusetts . George C. Malonis is experienced in personal bankruptcy, debt relief and chapter 7 bankruptcy laws in NH and MA and can be your trusted local source for debt relief services and options. Attorney Malonis, P.C. is a NH & Massachusetts bankruptcy attorney who will evaluate your situation and help devise a plan of action that will ultimately help you get back on stable financial footing. Before you jump into a bankruptcy filing, let our office see if debt relief negotiations and a possible repayment plan may be your best option. When you have George C. Malonis in your corner, we can speak directly with creditors and negotiate settlement and repayment plans that are in your best interests. The expert negotiating skills of George C. Malonis combined with his dedication to helping those in need will help you get the best possible results for your financial situation. 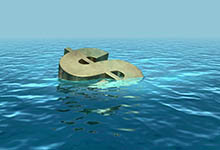 There are many services that advertise debt relief at great cost. We can help you avoid potential scams that further your financial troubles and help you devise a real plan, a plan that works and helps guide you toward financial freedom again. Our debt relief options can also help protect your credit from further damage. When you invest in legal guidance and counsel from our Massachusetts debt relief attorneys, your creditors will know you are serious about resolving your debt. Through expert negotiating, we can help reduce if not extinguish any built up interest or late fees. Our representation will also put an end to those stressful and anxiety inducing calls and letters from creditors. When the harassment ends, the journey toward resolution can begin. The law firm of George C. Malonis can help you get there and protect your rights and your credit during the entire process.